Invigorate the client’s already strong brand by creating a new service for current and potential members that brings Western Australians together and fosters a sense of belonging. 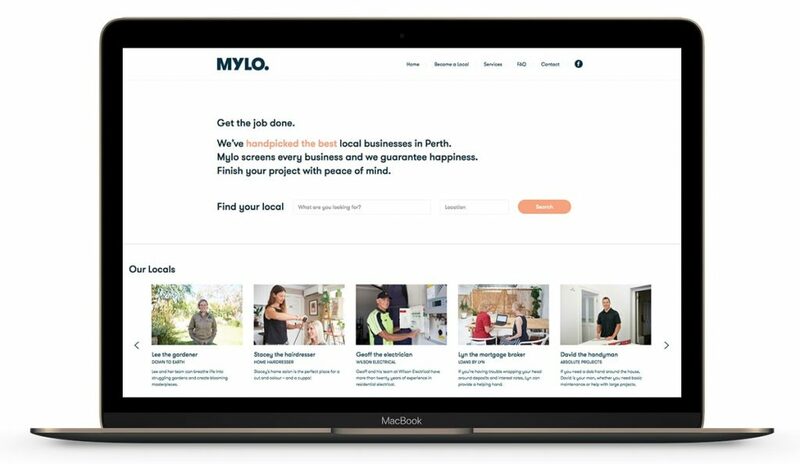 Mylo, a new kind of classifieds that helps Western Australians who need something done well find the perfect local small business, sole trader or freelancer and book their services online. This insurance mutual – which has one million members in Western Australia – was established more than one hundred years ago. Its reputation as one of Australia’s most trusted organisations is founded on its strong member offer, including the services and benefits it offers to its members. The client, as part of its innovation strategy, was proactively seeking new ways to engage and reward its members. 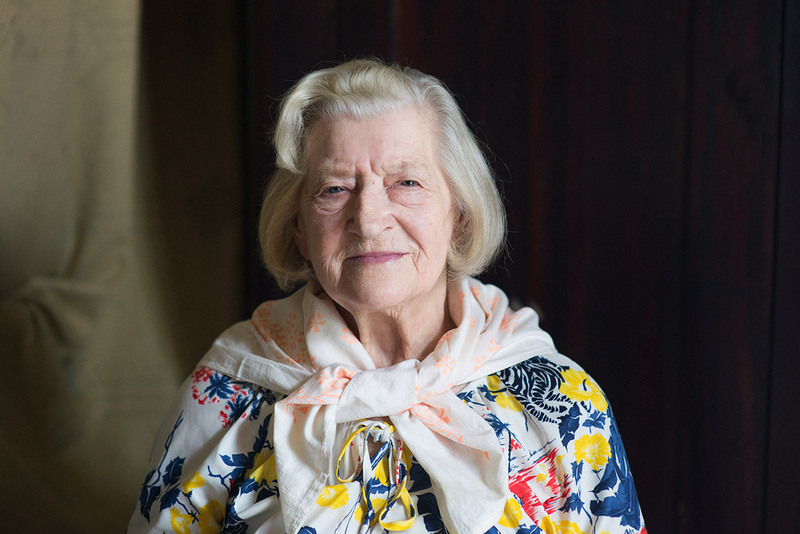 Knowledge Society worked with the organisation to conceive, design, test and launch new products and services that have the power to bring Western Australians together as a community and create belonging, meaning and engagement. After speaking with current and potential members from all walks of life about their experiences protecting and improving the home – a key priority for this insurer – the team discovered how challenging it was for members to engage trustworthy, high-quality tradespeople and local services with reliability. The team – searching for a user-centred solution that would delight the client’s members – conceived Mylo, a curated digital directory that allows users to search for and book services online. To understand how this service might benefit members and local businesses, the team fanned out across Perth, talking directly with small business and their customers, gathering data, watching behaviour and then launching the live platform just five weeks after developing the first prototype. 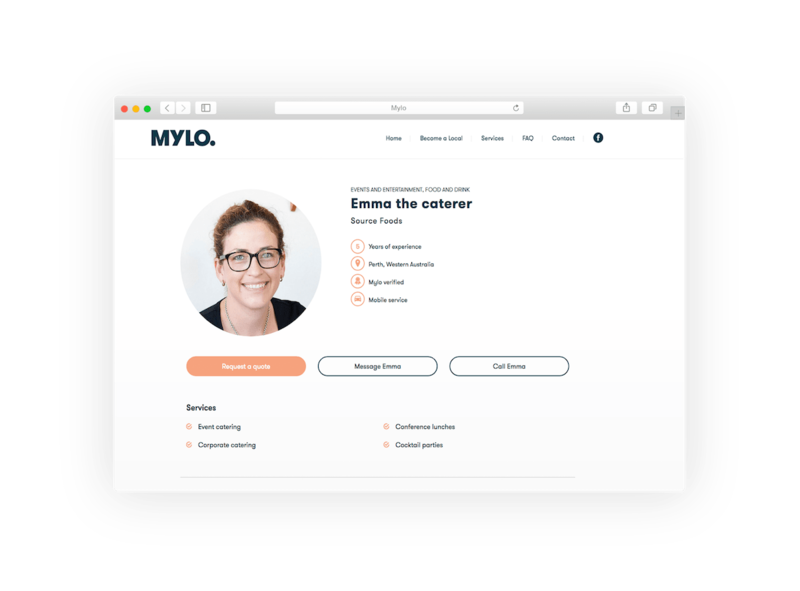 Mylo’s promise is that we meet every business, interview the business owners in person and if we love them, we put them on Mylo. Mylo is a curated platform that allows to user to see who they’re hiring before they hire them. 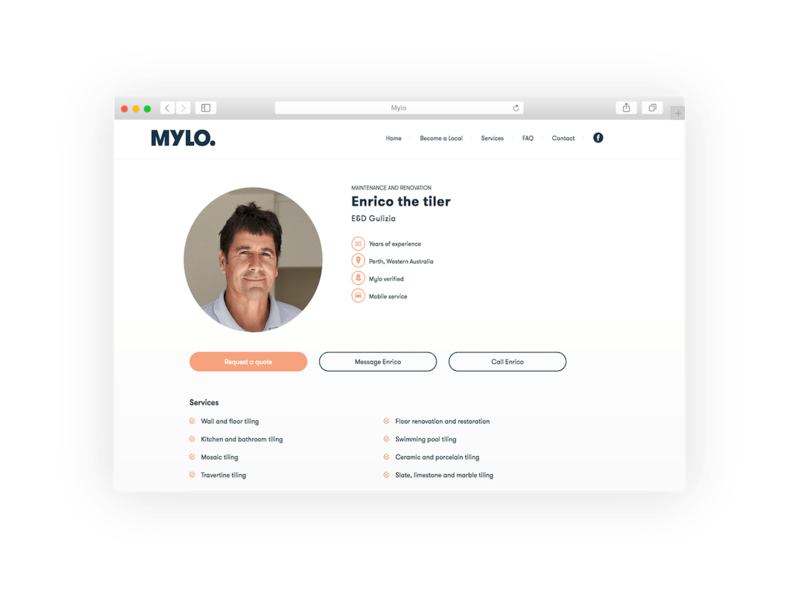 For the client, Mylo creates a powerful network of aligned Western Australian businesses. It strengthens local communities by strengthening local business and supports small traders by encouraging entrepreneurship in the community. For current and future members, Mylo offers the ‘Mylo guarantee’ – that we have vetted each business and personally approved them for the platform. Instead of relying on anonymous reviews, consumers get a ‘Mylo introduction’, the next best thing to meeting in person. 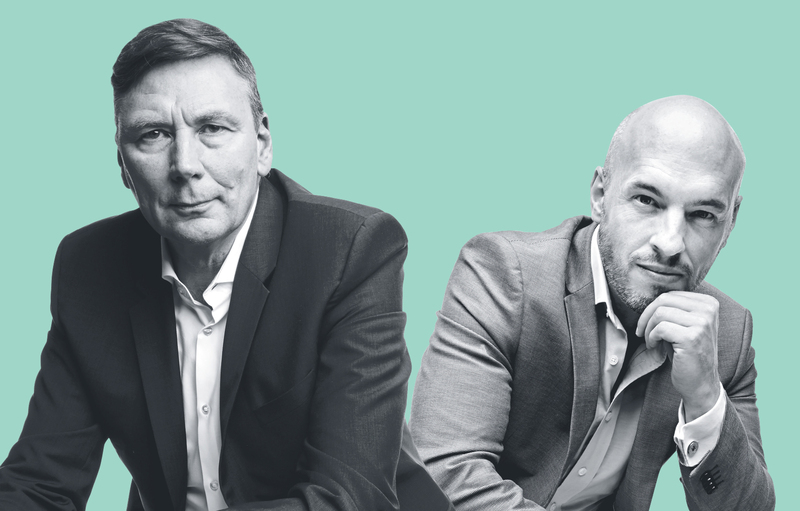 In 2017, the client’s executive expressed enthusiasm for Knowledge Society’s work, clearing the path for this new vision of member-centred services to get traction.